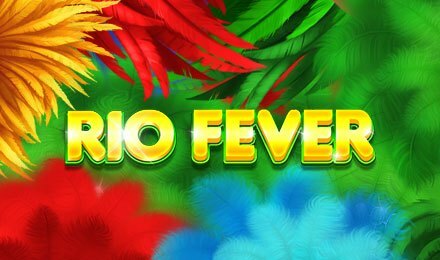 Join the carnival fever at Vegas Spins with Rio Fever Slot! It is brought to you by Pariplay and consists of 5 reels and 40 paylines. The game’s backdrop takes you to Rio de Janeiro in Brazil where you can see the famous landmark of the city, the statue of Christ the Redeemer. A carnival is about to take place! Wear your colourful costume and join the party along with beautifully dressed samba dancers. Launch this highly entertaining slot at Vegas Spins using a desktop, mobile phone or tablet. Make use of the + and – buttons on the Bet field to choose your preferred bet value. After adjusting your stake, press the Spin button. Earn a payout when combinations of 3 or more similar symbols are formed on the reels. An Auto Play feature is also available for you to launch several spins that are played on their own. Bet Levels: No levels are available. Amount of Paylines Selection: All 40 paylines are fixed during your gameplay. Coin Values: Select bet values ranging from £0.40 to £20.00. When the Wild Ginga Free Games feature is active on Rio Fever Slot, 3 free spins are awarded. On each spin, you can see trumpets exploding and shooting Stacked Wilds on one or more reels. In this way, 5 Wild reels are created on each free spin. During the Samba Parade Free Games, you are offered 7 free spins. One Sticky Wild symbol is added on each of them and stays in the same place during the entire feature. When 3 or more Bonus symbols appear on the same spin, the Bonus Wheel is activated on Rio Fever Slot. Spin the wheel to earn prizes of 4x to 80x your total stake or one of the 2 free game rounds. Watch out for the Wild icon which helps to complete winning combinations by replacing any other symbols apart from Bonus. Random Wilds on Rio Fever Slot are triggered at random during the base game. Fireworks appear during a normal gameplay and replace symbols with a maximum of 20 extra Wilds effective on the same spin. Try Rio Fever Slot anytime at Vegas Spins and have lots of fun. Good luck to you!